More Ukrainians travel to European countries every year. Cyprus is undoubtedly called one of the places of a mass tourist pilgrimage. However, it has been reported recently, especially in social media, about the growing number of cases when foreigners, including Ukrainians, are denied entry to Cyprus. The most common reasons for the detention of foreigners at Cypriot airports are the lack of documents confirming the purpose of the trip, the place of residence (a booked hotel room, apartment rental agreement, etc. ), the intention to return to Ukraine (a return ticket), lack of sufficient funds for the whole stay (at least 50 euros per day), the provision of unreliable or contradictory information, or the inability to explain the purpose of the trip. 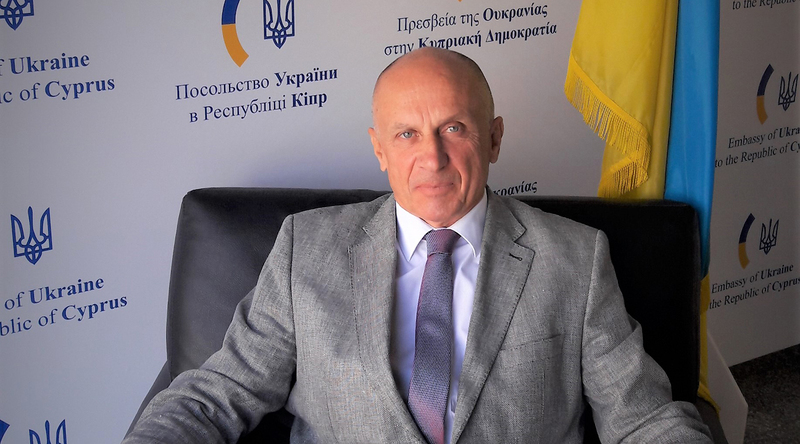 Ukrinform asked Ambassador Extraordinary and Plenipotentiary of Ukraine to the Republic of Cyprus Borys Humeniuk to clarify the situation. Below is what he told us. Armed conflicts in the world remain a reality and are the main cause of the growing number of refugees and displaced persons worldwide to an unprecedented 65.5 million people. 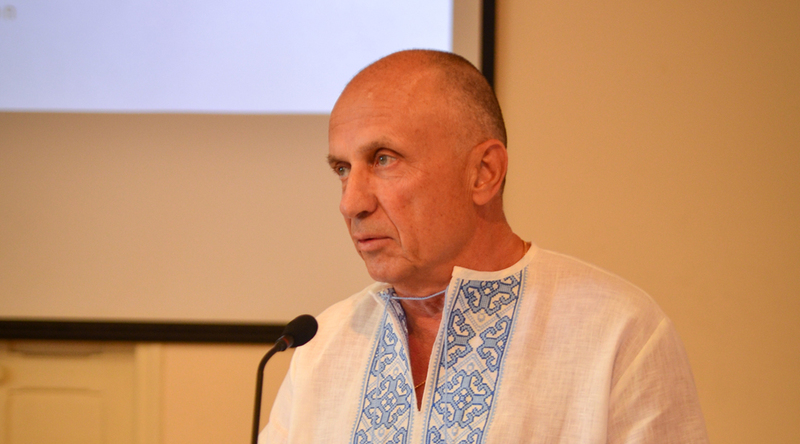 Events in Ukraine also contributed to the revitalization of migration processes. The annexation of the Crimea and the beginning of hostilities in Donbas led to a wave of migration both inside Ukraine and beyond. In this context, a certain part of Ukrainians regarded the visa-free regime as an opportunity to travel to the EU countries not only as tourists, but also for the purpose of illegal employment. Cyprus is no exception. Cyprus's migration legislation is designed to protect the labor market from the influx of foreigners and illegal migrants. This is due to the migration crisis that spread throughout Europe. Regulation (EU) 2017/458 came into force on October 9, 2017. It envisages a thorough check of the travel documents of persons crossing the EU's external and internal borders, as well as an increase in the number of criteria under which personal data of travelers is verified in the pan-European database. It is expected that such measures will contribute to a more effective fight against terrorism, trafficking and exploitation of people, and will prevent the use of counterfeit and stolen documents. Eurostat statistics in 2018 indicate that Cyprus received 4,022 applications for political asylum in the first eight months of 2018. For comparison, a year earlier, this figure was 2,600. The number of recognized refugees and applicants for this status in Cyprus is now around 15,000, which poses a threat to Cyprus with a population of over a million people. In September 2018, the Government of Cyprus announced more measures to combat the increase in the flow of illegal migrants to the island. At the same time, according to the country's police, about 13,000 foreigners were included in the list of illegal migrants between 2007 and 2018. These are only those who arrived in the country through official airports and ports and then stayed there after the term of their residence permits expired. According to unofficial data, there are currently about 20,000 illegal migrants in Cyprus. As a result, cases of foreign nationals' detention at airports in Cyprus (mainly in Larnaca) are becoming more frequent. Among them are also citizens of Ukraine. The most common reasons for the detention of foreigners, including Ukrainians, at airports in Cyprus are the lack of documents confirming the purpose of the trip, the place of residence (a booked hotel room, apartment rental agreement, etc. ), the intention to return to Ukraine (a return ticket), the lack of sufficient funds for the whole stay (at least 50 euros per day), the provision of unreliable or contradictory information, or the inability to explain the purpose of the trip. It is worth remembering that if you go to Cyprus at the invitation of friends, relatives, etc., it is recommended to have a special form "Assumption of Responsibility for Hosting" in which the inviting party confirms the fact that it assumes all expenses on hosting a citizen of a third country (the form can be found on the website of the Civil Registry and Migration Department of Cyprus). It is also necessary to have a bank guarantee in case of a deportation of a guest from Cyprus (for Asian citizens, the amount of the bank guarantee is 855 euros, for Eastern Europe - 515 euros, for the Middle East countries - 340 euros). Entry to Cyprus is denied to persons who were deported from the EU member states with an entry ban for a certain period, illegally worked in Cyprus, stayed longer than foreseen, or travel to the Republic of Cyprus for the purpose of staying, studying or participating in official events in the occupied territory (north of the island). Persons who present on passport control the documents with booked hotel rooms located on the territory of the so-called "Turkish Republic of Northern Cyprus," or those who declare their intention to live, rest, or study there, will be denied entry to the Republic of Cyprus. "Undesirable" tourists can be those who had previously worked in Turkish entertainment establishments, were noticed in acquaintance with unreliable persons, including those related to the illegal employment of foreigners in Cyprus. At the same time, if you are ready to justify the purpose and conditions of your stay in Cyprus, behave calmly and sincerely on passport control and you will have no problems crossing the border. It should also be remembered that even if a foreigner has at first glance all the necessary documents, he or she may be denied entry - this is exclusively the prerogative of the Migration Department of Cyprus. The embassy always provides operational assistance to Ukrainian citizens who were detained at the airport, in particular, it gets into contact with the migration service, clarifies the circumstances and reasons for the detention, and receives further information. If necessary, we contact the relatives of the detainees and provide information within the scope of our competence. It should be noted that the competent authorities of Cyprus respond promptly to the requests of the embassy and provide all the necessary information. 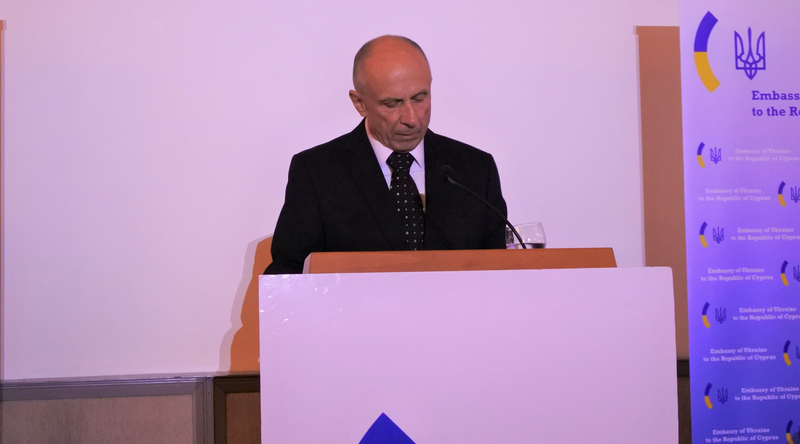 At the same time, we always emphasize that the embassy cannot influence the decision of the Migration Department of Cyprus and help citizens enter Cyprus, as well as to prevent them from being deported. In case of disagreement with the actions of the Cypriot authorities, every foreigner has the right to appeal them in court, if there is respective evidence. According to current local practice, citizens who are detained during passport control are housed in the center for detainees located directly at the airport. If the Migration Department makes a respective decision, such citizens are subject to deportation on the nearest flight to Ukraine, if there are free seats on the airline used by a foreigner to arrive in Cyprus. The period of stay in the center for detainees directly depends on the load of the aircraft and varies from several hours to two or three days. Depending on the situation, in particular, if there is data on the previous illegal employment of a person, violation of the visa regime, etc., a ban on entry into Cyprus from six months to five years is also introduced. A biometric passport does not give a person the right to disregard Cyprus's established visa and immigration rules. 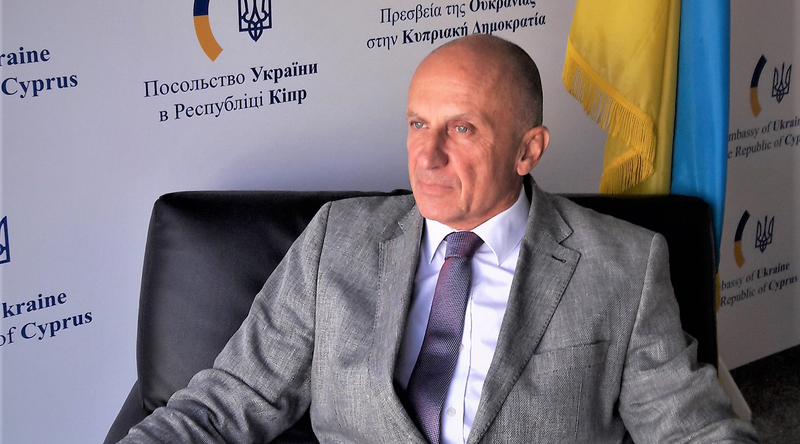 The most common stereotype among Ukrainian citizens is the hope that a biometric passport guarantees the ability to stay in Cyprus for 90 days, without agreeing on this tern with the competent authorities of Cyprus. The visa-free regime and the biometric passport of a citizen of Ukraine are not a guarantee of a 90-day stay on the island. It is important to understand that the term of stay in Cyprus is determined by the Migration Department of Cyprus on the basis of the documents provided. If you were not informed during passport control about the permitted term of stay in Cyprus, do not hesitate to ask, because it depends on whether you will have problems with the competent authorities in the future and whether it will lead to deportation. If you change plans for the duration of your stay in Cyprus, you must notify the Migration Department and obtain respective permission from it. Cyprus is a member of the EU, but is not part of the Schengen area. Just like Bulgaria, Croatia and Romania. Stays in these countries are not included in the period of stay in the Schengen area (90 days). Instead, for each of these countries, the visa-free stay is counted individually. So, Ukrainians have the right to stay in Cyprus for no more than 90 days in any 180-day period. It is clear that this regime does not apply to persons who intend to come to Cyprus for the purpose of employment or education. Is it legal to stay in the territory of the so-called "Turkish Republic of Northern Cyprus"? The proclamation of the so-called "Turkish Republic of Northern Cyprus" was condemned by the international community, and it was declared an illegal subject of international relations. With the exception of Turkey, no country in the world or an international organization recognizes this territory. According to the decision of Cyprus, all ports and airports located in the occupied territory are closed, and entry through them to the territory of Cyprus is prohibited and is considered a violation of the national legislation of the Republic of Cyprus. The Cypriot authorities permit a visit to the northern occupied part of the island exclusively for short-term purposes with the crossing of Green Line patrolled by the United Nations Peacekeeping Force in Cyprus (UNFICYP) through certain internationally recognized checkpoints that are also recognized by the Government of Cyprus. Return to the territory controlled by the Government of Cyprus is also carried out through respective checkpoints. Messages have recently been posted in social media about the benefits of living in the occupied part of the island, the opportunity to work, or to purchase real estate at an attractive price. The acquisition of real estate in the occupied territory from today's owners is illegal and is immediately appealed in national and international courts by legal owners - refugees from this territory. Such lawsuits lead to loss of such property. When choosing a vacation in the occupied territory of Cyprus, tourists deprive themselves of any consular protection and support, because in case of arrest, accident, illness or death, they remain unprotected. Similarly, staying in hotels located in the occupied areas and belonging to the Greek Cypriots and illegally used creates a significant risk of possible lawsuits from the owners. It is also impossible to register a child born in the occupied territory, issue a child passport, or, in the case of study, to recognize a diploma, a travel document, a residence permit, etc. After all, all documents issued in the occupied territory are not recognized by other countries. If it is necessary to apply to the Embassy of Ukraine in Nicosia for passport, notarial acts, etc., such citizens are faced with the problem of passage through legal checkpoints located in the territory controlled by the Government of Cyprus, as they do not have legal permits for residence in Cyprus. Unfortunately, from time to time there are cases when Ukrainians deliberately use illegal entry and exit checkpoints in the north of the island, ignoring the precautionary statements regarding visits to the occupied part, and find themselves in a difficult situation - it is about sexual exploitation or labor slavery. If such cases are detected, it is extremely difficult for the embassy to provide consular protection and assistance from the official authorities of the Republic of Cyprus. The non-recognition of this territory by the international community and the condemnation by the Cypriot side of official contacts with the administration of the occupied territory makes the effective protection of citizens impossible. The competent authorities of Cyprus have recently tightened the requirements for the provision by foreigners, including Ukrainians, of supporting documents for checking the fulfillment of the conditions of entry into the country. The Embassy of Ukraine in Cyprus constantly monitors the rights of Ukrainian citizens by taking measures to prevent and eliminate any discriminatory action against them. The section "Consular Issues" on the embassy's website contains recommendations and advice for Ukrainian citizens planning a trip to Cyprus, with warnings and reservations about possible difficulties when entering this country. I strongly advise everyone who intends to visit Cyprus to examine them.